In the historical center of Bruges, the 2-star Hotel Cavalier offers comfortable rooms for a wonderful city trip. Enjoy the quiet, family oriented atmosphere and personal welcome. The eight rooms in this small scale hotel all have free wifi, a TV, bathroom with shower and a toilet. From July 2018, there will be new furnishings, new box springs and new linens. The cozy breakfast room is the scene for our full continental breakfast. The buffet is always fresh and extensive including fresh fruit, cornflakes, croissants, eggs, cheese and other sandwich toppings. The ideal start to a day of exploration the beautiful Bruges. Medieval streets and canals, top chocolate makers, art and culture,... Bruges combines it all making it an ideal city trip location. Hotel Cavalier is the ideal location for visiting all of the above. 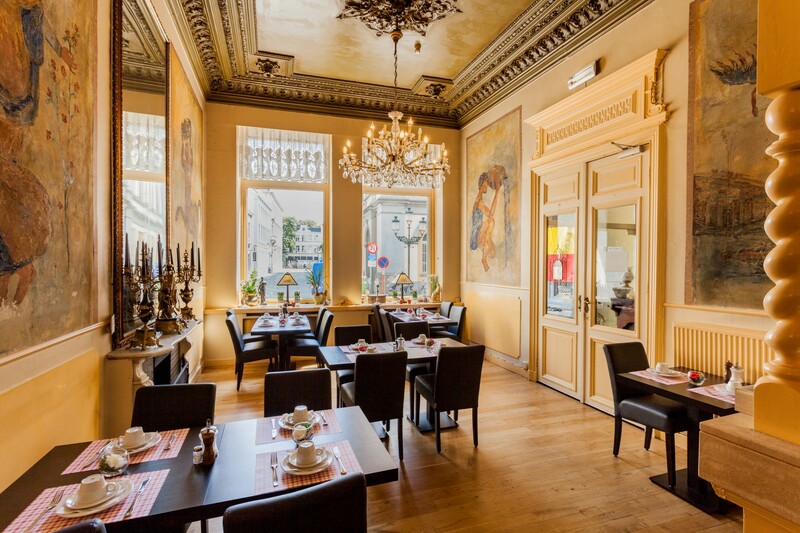 The 2-star budget hotel is located right behind the city theater and is a two-minute walk from the Grote Markt. (Central square) Together with the Belfry and the quaint terraces it’s a year round place to be. For more information please feel free to inquire about extra tourist opportunities in Bruges and surrounding areas at the reception desk. You can also get a free city map and reduction vouchers for museums and attractions at reception. Despite its prime city location, Hotel Cavalier is easy to reach by car. There is an underground public parking garage just around the corner 'Biekorf'.